A new case study has been created that analyzes changes to Licensee Liability Ratings following Canada’s biggest oil and gas M&A deal of 2016. LLR programs ensure costs to suspend, abandon, remediate or reclaim a well, facility or pipelines are not borne by the public if a licensee becomes defunct. To fulfill LLR regulations, the value of an operator’s ongoing assets must outweigh any abandonment/reclamation costs. LLR also impacts M&A deals. Before permitting the completion of a deal, provincial regulators must be satisfied that a deal will not take the acquirer or seller below the specified provincial LLR thresholds. 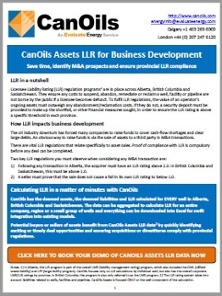 Using LLR data, which is now a standard feature in every CanOils Assets subscription on a well-by-well basis, can help you make sure your M&A deal is safe from this happening. This new case study provides an analysis of Seven Generation Energy Ltd.’s acquisition of Montney lands and wells from Paramount Resources Ltd. for Cdn$1.9 billion. It estimates the impact this deal had on both companies’ LLR positions, and offers useful insight for potential buyers and sellers of assets. 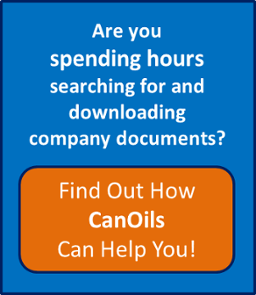 Click here to download free the 4-page case study.